Is there anything better than cooking and eating al fresco with friends and family on a warm summer night? The prime season for outdoor cooking in Atlantic Canada is upon us; make the most out of it with these five tips. 1. Create a Space You Love – The weather alone shouldn’t be your outdoor cooking inspiration. Build an outdoor kitchen that you love to cook in! Choose the best equipment for your cooking methods, then let your imagi-nation run wild. Building a kitchen with product like Shaw Brick’s Natural Stone Thin Veneer looks impressive, and is actually possible as a DIY project. 2. Make it Easy – Create an outdoor cooking area that’s super convenient to use. Set yourself up with a small refrigerator that’s built into the outdoor kitchen for easily accessible meat and other ingredients. Have cooking utensils within reach from your grilling position, and stock some serving platters nearby as well. 3. 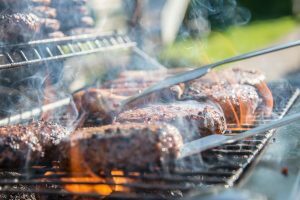 Keep it Food Safe – There are plenty of ways to keep outdoor cooking methods safe for you and your family. Keep-ing meat and other ingredients in a nearby refrigerator until it’s time to cook is a must. 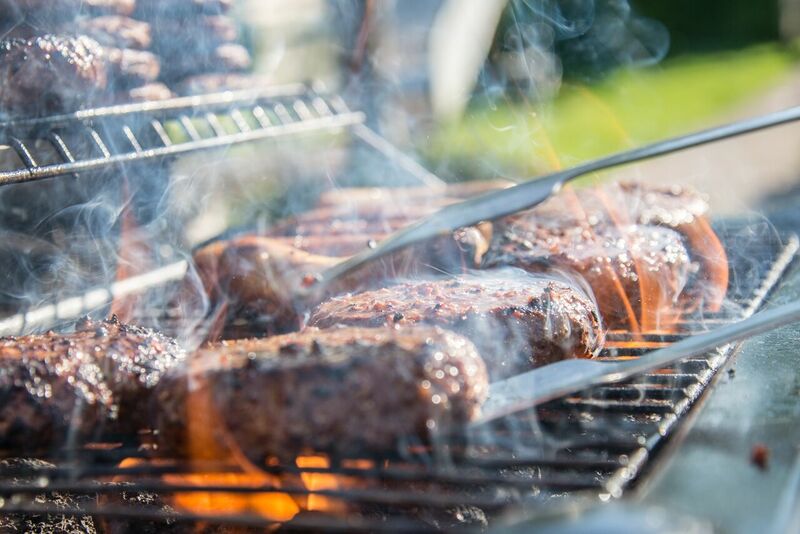 Allowing your barbecue or grill to reach a very high temperature to burn off food remnants can also be a great way to kill bacteria. Always use a thermometer to make sure meat has reached the prop-er internal temperature before serving. 4. Set Yourself up for Service – When food is hot from the grill, its best served right away. Position the barbecue to be close to the dining area, for ease of service. 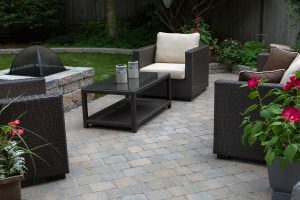 If you’re working with a small backyard or challenging lay-out, installing patio stones or other landscape products can help expand your space. 5. Get Experimental – We all love grilling season; keep it exciting by trying new cooking methods. Incorporate a char-coal barbecue into your set up, or maybe experiment with wood chips and smoking. Does your grill come with a rotisserie attachment? Try it out!